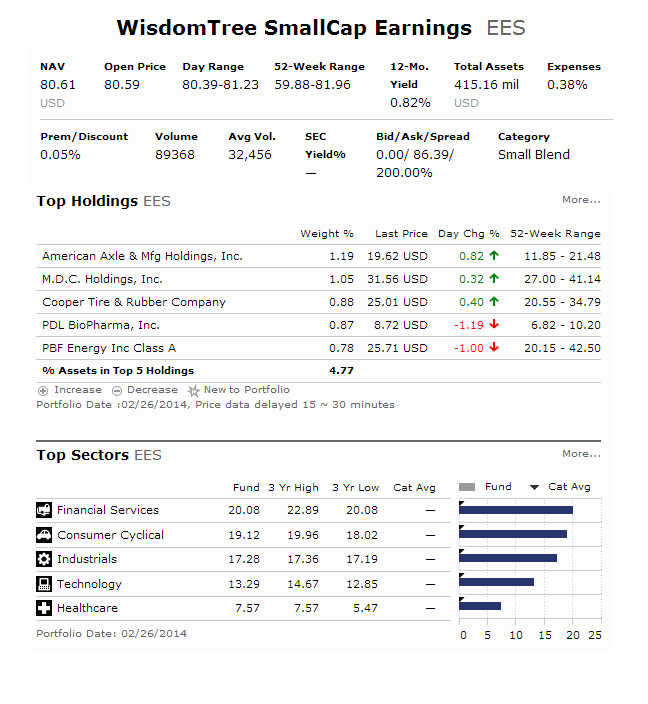 Find WisdomTree SmallCap Earnings Fund (EES) review. 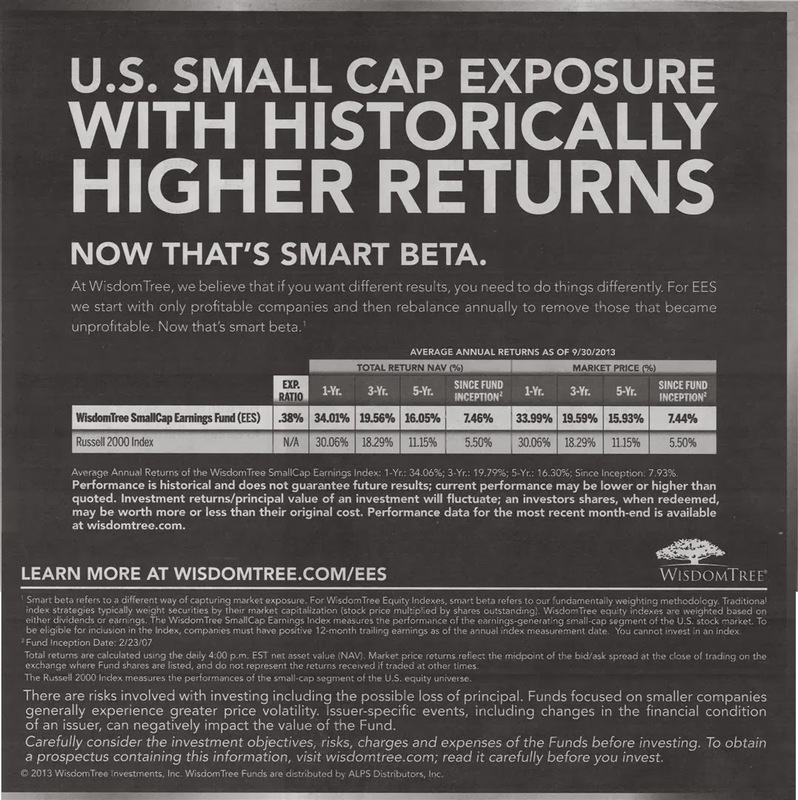 This exchange traded fund (ETF) invests in small cap companies in U.S.
At WisdomTree, we believe that if you want different results, you need to do things differently. For EES we start with only profitable companies and then rebalance annually to remove those that became unprofitable. Now that’s smart beta. Average Annual Returns of the WisdomTree SmallCap Earnings Index: 1-Yr.: 34.06%; 3-Yr.: 19.79%; 5-Yr.: 16.30%; Since Inception: 7.93%. This EES fund was incepted on February 23, 2007. It seeks investment results that correspond to the price and yield performance, before fees and expenses, of the WisdomTree SmallCap Earnings Index. It also has total net assets of $390.07 million. The fund’s annual expense ratio is 0.38%. It shares 0.82% dividend yield with its investors. Morningstar analysts rank this small cap fund with 5-stars rating for its performance. The YTD return is -7.24%. The best 1-year total return was in 2009 with 48.37% and the worst was in 2008 with -31.74%. The top 5 stocks in its holding as of February 06, 2014 are American Axle & Manufacturing (1.21%), MDC Holdings Inc (1.03%), Cooper Tire & Rubber Co (0.86%) and PDL BioPharma Inc (0.83%). The top sector breakdown is Financials (23.12%). This US stock ETF has a high 5 stars rating by Morningstar. This ETF also has a low cost expense ratio. If you look for yield, this ETF will provide a decent yield.